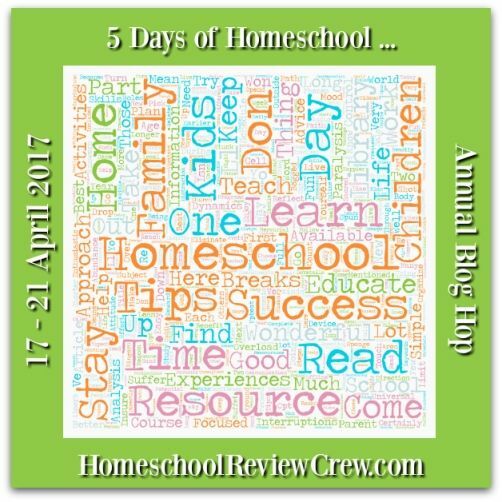 I've been totally neglecting my blog lately, but some of my fellow Crew Leaders have challenged/cajoled/encouraged me to participate in the Homeschool Review Crew 5 Days of Homeschool ... Blog Hop. Like I had the first clue what I could write about. I certainly look forward to reading some of the topics that others are posting on though! I was challenged/cajoled/encouraged to post about "Growing a Heart for your Community," so though I certainly do not feel like I'm an expert at all, I am going to be posting about some of our experiences in that regard. I haven't completely finalized the specifics on this, but I will be writing about developing a servant's heart, finding opportunities to serve, and I plan to end the week by lecturing myself on balance and moderation. I am SO not an expert on that. Check out the other topics! Jodi G - 5 Days of Hiding the Word in Their Hearts. Meredith D - 5 Days of Homeschooling a High Achiever.